Our 2005 Finn designate combines the upfront ‘showiness' of the vintage with a broad swath of complexity that is inherent to these great vineyards. 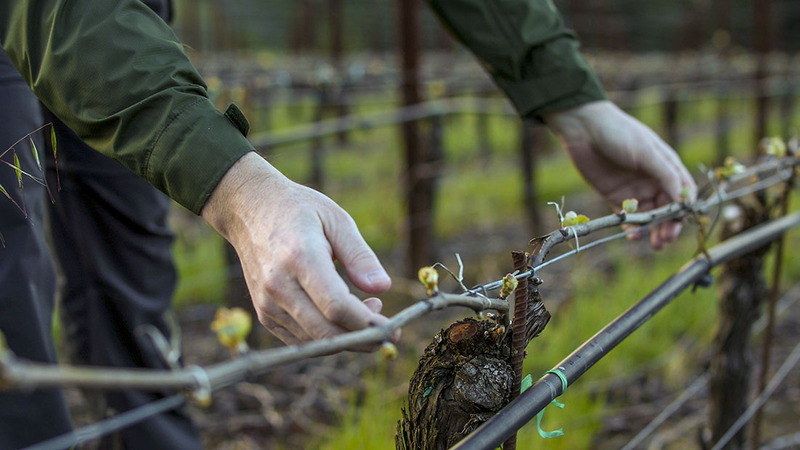 This designate's historical combination of the Occidental and Widdoes vineyards is joined for the first time by our favorite younger vine Green Valley source, Wildrose Vineyard. While the first two sites provide the broad mouth-feel and nuanced complexity of the wine, a twenty-percent addition of Wildrose Dijon clone adds an element of structural tension, brightness and poise to the wine. Its cool ridge-bottom location, a quarter of a mile from Widdoes and naturally vigor-limiting soils, provide fruit with the intense concentration and taut acidity that belies the vineyard's youth. Stylistically most similar to our 2002 Finn release, I anticipate the wine to show impressively on release but have all the attributes of a decade-worthy cellar investment. The general coolness of the 2005 harvest period ensured the steady paced ripening of these vineyards, which is critical to balancing the aromatic, textural and structural elements in the wine and to confer on this blend of sources a complexity that is often lacking in single vineyard, mono-clonal wines. Bright ruby red color. Soaring aromatics of crunchy red berries with darker black raspberry and truffle notes. Sweet and pliant entry with classic inner-mouth perfume. Light cassis, smoked meat and strong fruit extract on a seductive mid-palate. Finishes fresh, supple and elegant. Offers aging potential of 8 to 10 years. Serve at 60 degrees to allow the wine's full complexity to shine.